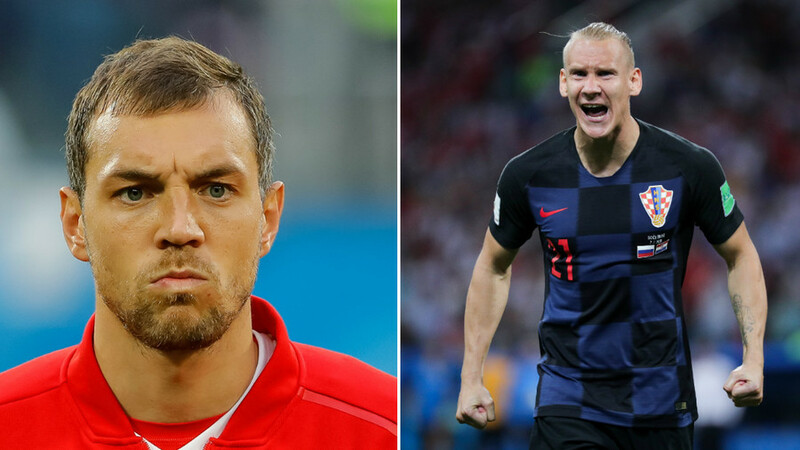 Russian striker Artem Dzyuba has spoken of his initial anger at hearing about the controversial “glory to Ukraine” video made by Croatian player Domagoj Vida after his team’s World Cup win over Russia. Vida and Croatian assistant coach Ognjen Vukojevic were filmed saying “glory to Ukraine” after their team’s quarter-final penalty shootout win over Russia in Sochi. Vida and Vukojevic have both previously played for Dynamo Kiev in Ukraine, and Vida later apologized for the video. The defender was issued with a warning by FIFA, while Vukojevic was fined and dismissed from the Croatian coaching staff. Croatia went on to face England in the semi-finals, and when asked about who he had supported in that game, Russian striker Dzyuba said he had mixed feelings – especially in light of the controversial video. “I had double feelings. On the one hand, the Croatians impressed me with their perseverance. Everyone thought that England would brush them aside, but they went further,” Dzyuba told the website of club team Zenit St. Petersburg. “But because of Vida and Vukojevic… their performance [in the video] made us furious on the bus. The first reaction was – I wanted to get off and drive Vida into the ground. “But then they cooled a little. Then they [the Croatians] apologized, and so I didn’t hold any anger towards him. He doesn’t know what he’s doing,” Dzyuba added. Croatia beat Russia 4-3 on penalties in a thrilling shootout in Sochi, after the scores had finished level at 2-2 following extra-time. The defeat ended a remarkable World Cup run for a Russian team that were largely unfancied heading into the tournament. Dzyuba in particular emerged as a star for the team, with the 6ft 4in striker scoring three goals in the campaign – including in the famous last 16 penalty shootout win against Spain – emerging as a central figure. Croatia went on to beat England 2-1 in the semi-final to reach their first ever World Cup final, although they suffered defeat against France in Moscow.